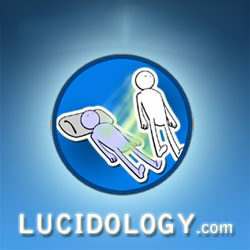 Did you know you can learn how to have lucid dreams in days or weeks? That’s no exaggeration. Many people are able to pick up this life-changing skill between three days and three weeks. All it takes is a little persistence. Dream control is all about learning how to recognize the dream state. Most lucid dreaming methods focus on planting an idea in the subconscious mind, so that you spontaneously become lucid while dreaming normally. Other popular techniques include regular theta meditation, performing waking reality checks, and keeping a record of your normal dreams. The mere intention to learn how to have lucid dreams creates a pattern in your subconscious mind. Scientific studies show that your dreams reflect many of your thoughts and experiences from the waking day. And if you really want something on a conscious level, it will filter through to the subconscious mind. So having lucid dreaming on the brain really will help you to master dream control sooner. There’s certainly a lot to go on. If you’re feeling overwhelmed already, don’t panic! 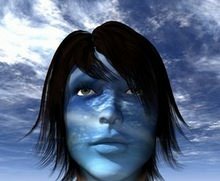 You will learn how to have lucid dreams using only one or two of these lucid dreaming methods, and maybe one or two of these products. You don’t need to experience them all for success – just find the ones that suit you best. Lucid dreaming is all about entering altered states of consciousness on demand. What’s more, there is a proven link between lucid dreaming and meditation. This is probably why my personal favorite method of inducing lucid dreams comes down to meditation and brainwave entrainment CDs. If you want to learn more, read my article about brainwave entrainment or jump straight to some individual product reviews like the Lucid Dreaming MP3. These audio dream control aids are really cheap and give the best results – guaranteeing altered states of consciousness every time. So that’s my “big picture” take on programming the subconscious mind how to have lucid dreams. Start today and discover a whole new world of possibilities!